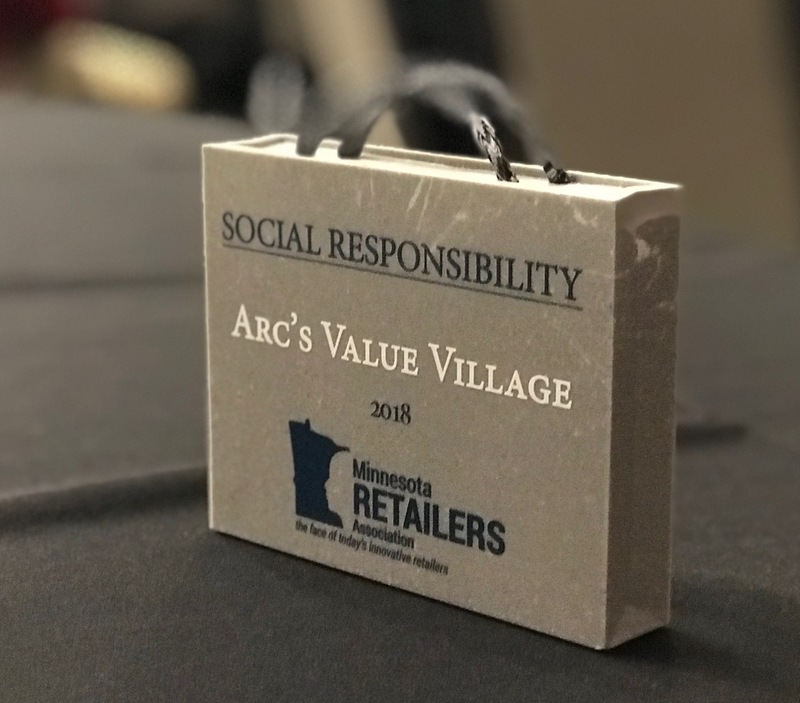 Arc’s Value Village is honored to accept Minnesota Retailers Association Retailer Champion Award for Social Responsibility! We work hard every day to serve this community. Our goal is a great shopping experience and every day when we open our doors, we give back. For more than 35 years, thanks to shoppers, donors and volunteers, Arc’s Value Village has helped make life better for people with intellectual and developmental disabilities and their families.The Arc is a nonprofit organization and as Arc’s Value Village grows, so does our community impact. Our stores provide funding for The Arc Minnesota’s programs that help adults and children with disabilities and our community and we’ve provided over $26 million since we opened in 1982. Our stores are clean, cheerful and well-organized. Our helpful staff is trained to give you the best possible service. At any of our four Arc’s Value Village stores, you’ll find everyday needs as well as treasures and collectibles. With 20,000 items arriving daily, we constantly rotate our stock to ensure a great selection every time you shop. 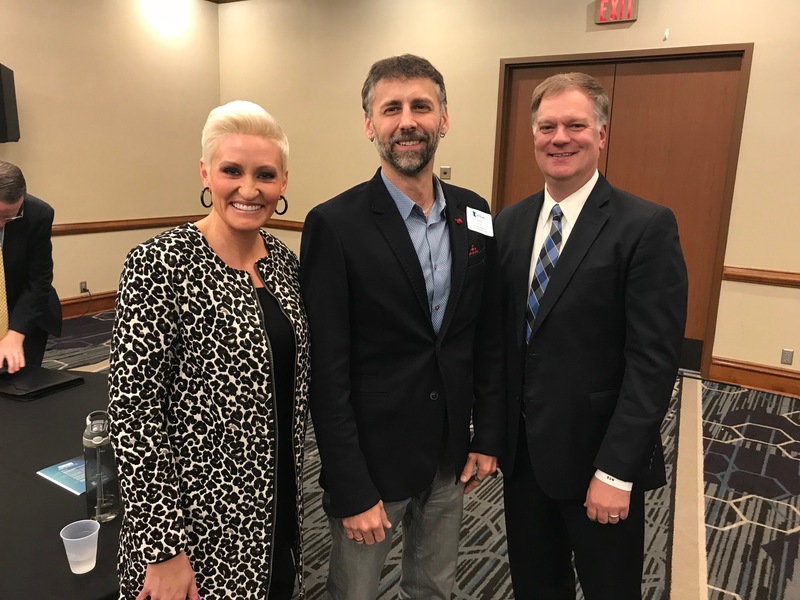 Greg Rue (middle) accepts the award from Bruce Nustad of MN Retailers Association and Amanda Brinkman of Small Business Revolution.